Old Stortfordian artefacts are housed in the Bishop's Stortford College archive in the College Library and OS are very welcome to visit the Library to view this interesting collection. 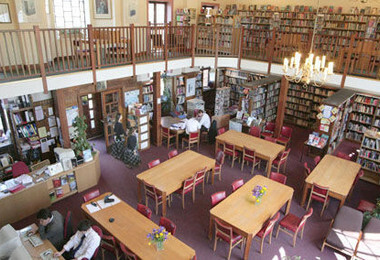 The archive is administered by College Librarian Maggie Garrett and the Library is accessible to OS, by prior arrangement only, during term time. Should you wish to visit the archive, please make an appointment with Maggie Garrett on 01279 838599. All OS are entitled to full access to the Digital Archive Website. In order to be able to do this you will need to obtain login details first from Julie Pridmore at the OS Office. To view the Digital Archive Website, please click here. Printed records: class lists, school magazines, prospectuses. Written records: admissions registers, minute books. Photographs in a variety of media; glass plates, black and white, colour and digital. Records about individuals with a clear connection to the College; staff, governors and ex-pupils. Books by or about individuals who have a clear connection to the College. We are always very grateful for any suitable donations from Old Stortfordians, however we reserve the right to refuse donations or suggest alternative archives. The donor will be advised in writing if we do not want to keep an object. We will accept gift donations, we will generally not accept loan items. We will use the library book budget to acquire books with a College connection. We will not purchase artefacts for the archives, instead relying on in-house created records, or donations. We do not collect personal libraries or items unconnected with the College. We do not collect items too costly to conserve or repair. Records should be suitable for open access by interested researchers and comply with legal requirements on privacy and decency. Ex-pupils and their families researching our records receive help from the librarian at no cost. Businesses and private researchers may be asked for a donation to cover costs and / or a copy of any resulting publication. The archive is registered with the National Archives. Visitors to the archives are admitted by appointment and the daily work of the College library takes priority.